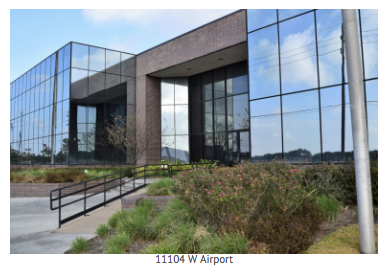 QRC Valve Distributors leased 5,532 square feet at the Park Plaza Business Park, located at 11104 W Airport Boulevard, Houston, Texas. Spencer Starkey and Kirt Kistler of Moody Rambin represented the building owner, Stafford Office Park II, L.P., during the lease process. David Claros of Caldwell Companies represented the tenant during negotiations. The two-story, Class B, building is 91,000 square feet, located in the E. Ft. Bend Co/Sugar Land submarket.